We are offering Gas Monitor. 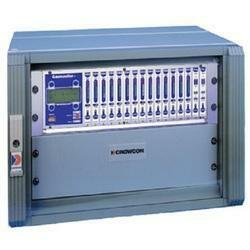 We manufacture ripening gas analyzers and control mechanisam ourselves at chemtron. Complete indegenously made and can work with other brand of ethylene gas analyzers. Designed specially for indian conditions and can be operated by non educated staff as well. Fixed gas monitoring system to monitor biogas plants and landfill sites. Fundamental to the efficiency of a biogas plant is optimal control of the fermentation of organic waste. Knowledge of the biogas composition is essential for controlling the fermentation process. Sewerin offers the purpose-designed SR2-BIO for monitoring biogas installations at a highly attractive price point. Monitoring equipment capable of measuring methyl bromide concentrations with a range between0-200 mg/l. We have gained a remarkable position in the market that is involved in offering Ultima X Series Gas Monitor. 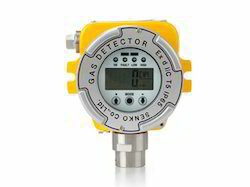 Being a quality-centric firm, we are involved in offering a wide series of Fixed Gas Monitor. We promise the prompt supply of this product to our patrons at inexpensive rates. Features: Programmable Relay Output,Scrolling Alphanumeric LCD Display,Built-in Buzzer with ACK Facility.